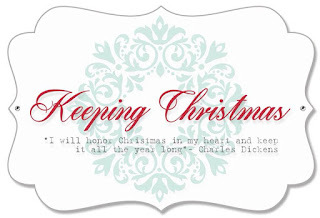 It's time for the July installment of Keeping Christmas with The Challenge design team! For this month's card,I created a clean and simple wintery design using stamps from Mama Elephant. I stamped the skating penguin and a hat from the Arctic Penguin stamp set, adding just a bit of color to the images with Copic markers. After die cutting the image, I set it aside while I stamped the sentiment. I arranged the text from the Jolly and Merry set on my clear block, then stamped the text in silver ink on a dark blue panel. The text was heat embossed in silver to pop against the blue background. 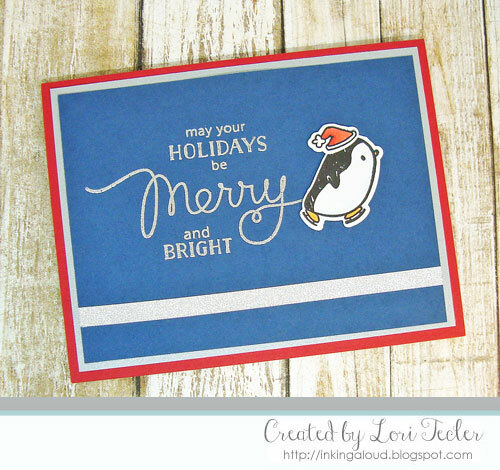 The penguin was positioned next to the sentiment, using foam tape for dimension. I adhered a narrow strip of silver glitter tape beneath the image and sentiment before adhering the panel to a silver mat. The matted panel was adhered to a red card base to match the penguin's hat. So cute! Such a sweet and clever design! This is precious, Lori! I bet the silver embossing looks awesome in person on that blue!! Super cute. Love that adorable little penguin!